Rewritten, and, again, Ratified in 2012. With the passing of time and the addition of 12 amendments, The USS Okanogan Organization's Constitution—drafted in 1992, ratified in 1995, and amended in 1996, 1997, 1998, and 2000—had become somewhat outdated, redundant, cumbersome, and sometimes confusing. Therefore, the organization leadership directed the organization's secretary to reformat, revise, and rewrite portions of the document to bring consistency to the wording and organization and clarity to the content of The USS Okanogan Organization's Constitution. This resultant revision involved eliminating redundancies, and creating a format that features parallel outline structure as well as a layout that uses different fonts with various sizes and styles to bring consistency and clarity to the document. In addition, the revision finds all twelve of the original constitution's amendments woven into the text of the constitution, thus eliminating (until there are new amendments) the original constitution's amendments section. Finally, the revision includes the options of e-mail and the organization's web site to the methods by which information can be disseminated to members It should be noted that the revision maintains the essence and integrity of EVERY article, law, and bylaw, of the 1995 Constitution and all of its subsequent amendments. It should be further noted that the revised constitution had been published in the organization's newsletter so the entire membership could look it over and give input prior to the 2012 Okanogan Organization Reunion Business Meeting in Omaha, Nebraska, where it was moved that the revision be accepted and that it replace the older version of the constitution. The motion carried with no opposing votes. Therefore, the 22 September 2012 ratification of this document establishes the 2012 edition of the Organizational Constitution for the Okanogan Organization (APA 220) as the consensus of all members and affirms that it shall be effective immediately. A. To maintain communications and personal contact with those individuals who served aboard the USS Okanogan. 1. Communication will be facilitated via the newsletter (The New Rendezvous) which will be published and mailed quarterly, and via the organization's web site www.ussokanogan.org, maintained by the organization's web master. 2. Personal contact will occur at annual reunions, which will be held some time after Labor Day and before October 15 each year and which will be four days in duration. The reunion will be held in a different location each year, according to the following sequence: Midwest, East coast, West coast. 3. Future reunion locations will be announced two years in advance at each reunion; and reunion dates and locations will be published each year in the February issue of The New Rendezvous. B. To offer solace and comfort to widows and families of deceased members of the USS Okanogan. C. To preserve, record, and disseminate the history, memories, and activities of the USS Okanogan and of those men who served aboard her. D. To keep the American public informed of the importance of a strong Navy and of the debt that America owes to those sailors who served with pride and died with honor in defense of our country. Article Two MEMBERSHIP: The Okanogan Organization is a nondiscriminatory organization which welcomes to its membership any person who was assigned to the USS Okanogan as either a permanent or temporary crew member. A. Membership is restricted to those military personnel who were assigned to either permanent or temporary duty aboard the USS Okanogan. B. To be considered an active registered member (with voting privileges and eligible to hold office), one must pay annual dues of $20.00, payable on January 1 of each year. C. Honorary memberships shall be granted to the wives of deceased members and/or members of their families, if requested, and to other people who have been historically associated with the USS Okanogan or endeavors of The USS Okanogan Organization as approved by the Executive Board of The Okanogan Organization. Honorary members shall not have voting privileges. 1. The president will administer the organization's day-to-day activities and conduct all business in a proper and efficient manner. 2. The president will ensure that all required reports are promptly received and that all information is properly disseminated to the membership. 3. The president will serve as chairman of the “President's Council” and the Executive Board.” While serving in these capacities, he will refrain from voting, except to break a tie. 4. The president will appoint special committees to assist him in the operation and administration of the Okanogan Organization. These committees will include, but not necessarily be limited to, a Membership Committee; Rules Committee; Finance Committee; Historical Committee; and committees to facilitate reunions. 1. In the event of the absence or disability of the president of the Okanogan Organization, the vice president will be vested with all of the powers and shall perform all of the duties of the president. 2. The vice president shall serve as chairman of the Membership Committee and direct the committee in obtaining and retaining names, addresses, and other pertinent data relative to known shipmates. 3. The vice president will perform those duties usually associated with the office of vice president and all duties assigned to him by the Executive Board. 4. The vice president shall serve as chairman of the Reunion Committee. 1. The secretary shall keep a permanent record of the proceedings of the organization's annual reunions. Minutes of past meetings will be read and approved by the general membership at the subsequent reunion. 2.The secretary shall properly file and safeguard all correspondence, membership records, standing orders, policy changes, by-law changes, and rulings necessary for the smooth running of the organization. 3.The secretary will copy and distribute to the Executive Board whatever filed materials it requires. 4.The Secretary shall have authority to conduct regular meetings under “Robert's Rules” with the president present. 1. The treasurer shall collect dues and maintain custody of the funds and other property of the USS Okanogan Organization. 2. The treasurer shall keep full and accurate records of all receipts and disbursements and shall make semiannual financial reports to the president of the Okanogan Organization. 3.The treasurer shall deposit all moneys and valuables in the name of (or to the credit of) the USS Okanogan Organization in such depositories as authorized by the organization's President's Council. 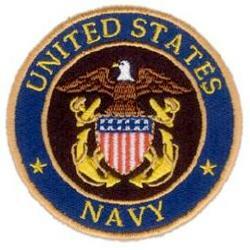 4.To prevent problems which might occur in the event the treasurer becomes incapacitated or otherwise unable to fulfill the office of treasurer, The USS Okanogan Organization account/accounts shall have a back-up signature which authorizes disbursements of the USS Okanogan Organization moneys in the depository. The second authorized signature shall be that of the vice president. 1.The editor shall publish a quarterly newsletter and mail it to each member who has satisfied his financial obligations to the organization, according to updated lists supplied by the treasurer. Costs of the newsletter and its mailing will be defrayed by the Okanogan Organization. 2. In February of each year, the editor will mail the year's first issue of The New Rendezvous to all addresses on the Muster List. This issue will, among other things, announce the annual reunion location and dates. Article Four, THE EXECUTIVE BOARD:. The Executive Board shall be called upon for a decision in the event that the President's Council is unable to reach a decision on a matter that normally falls under the purview of the President's Council. A. The Executive Board shall consist of the President, Vice President, Secretary, and Treasurer, elected by the general membership at a convention or via a solicitation by mail and of one or more of the following officers, appointed by the President: Newsletter Editor, Historian, Supply Officer, Chaplain, Master at Arms, and Ship's Jester. B. All officers on the Executive Board must be full, dues-paid-up members. C. Elected officers (President, Vice President, Secretary, and Treasurer) either must be present at nominating time or must have submitted a letter of acceptance to the president or to the nominating committee. D. All officers shall serve a term of office of two years without compensation, unless compensation is authorized by the Executive Board. E. In the event of an elected officer's death, incapacity, or resignation, a special election will be held during the following reunion business meeting. F. Matters referred to the Executive Board for decision will be decided by a quorum of the Executive Board, solicited by a convening of the Board, a mailing or e-mailing to the Board, or a telephonic communication with board members. G. Voting of the Executive Board shall consist of a written vote, administered by the President and counted by the Master at Arms. Article Five, VOTING: A simple majority of those eligible to vote and voting--either in a convening of the membership or a solicitation of members by mail/e-mail--shall determine the results of the vote. A. When membership is convened in a normal business meeting at an annual reunion, voting shall be conducted according to procedures outlined in “ Robert's Rules of Order,” with “Yes” or “No,” “Aye” or “Nay,” or a show of hands determining the results of the vote. B. When the membership responds to a voting solicitation by mail/e-mail they shall mark either “Yes” or “No” on their ballots and return the ballots to the secretary, who will tabulate them and forward the results to the Executive Board. C. Any qualified member of the organization may request a recount. In the event that a recount is requested, an actual count of the votes shall be made by a show of hands (if the membership is in convention) or by a re-tabulation of the votes submitted to the organization's secretary(if the vote had been solicited by mail/e-mail). D. Voting results shall be reviewed by the Executive Board and forwarded to the general membership in the next edition of the newsletter and on the website. Article Six, AMENDMENTS: This constitution can be amended by a two-thirds vote of the membership convened in a normal business meeting at an annual reunion. A. All proposed amendments to the constitution must be published in the organization's newsletter and posted on its website prior to the reunion. B. Copies of all amendments that are approved will be published in the third quarter New Rendezvous and will appear on the website. C. Copies of the amended constitution will be forwarded to all officers and to any member who may request it.